After the men’s soccer team achieved its first NEWMAC win last year, new head coach Bryan Harkin set an ambitious goal for this season— a playoff appearance. “We are going in with the mentality that we can reach playoffs, and until that moment passes, we’re still in with a shout,” Harkin said. His confidence is echoed by many players, including freshman goalkeeper David Kemp. Harkin’s hiring is a catalyst for much of the optimism around the team. 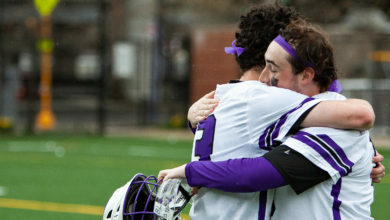 He arrived at Emerson with a strong pedigree, having most recently won two Division III national championships as an assistant coach with Tufts in 2014 and 2016. As a player, Harkin spent time in England with the Liverpool FC Reserves and Academy before coming stateside to attend Fairfield University, where he won a conference championship. He eventually moved on to play in the United Soccer League, the second professional tier in the American soccer pyramid. One of his goals this year is to make sure that everyone assimilates into his new style and feels welcomed. “It’s my job to create a positive culture within the group, and to keep everyone pushing in the right direction, and I think the guys have embraced that,” Harkin said. Warren Backman, a senior left back and four-year Lions soccer veteran, praised Harkin. Aside from Harkin, eight freshmen have been added to this year’s Lions squad. One of them is Kemp, who took over between the goalposts after senior goalkeeper Lucas Fischer was injured in the season opener against Curry. Kemp has made five appearances and 11 saves. 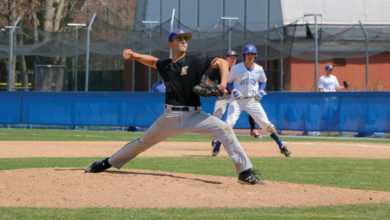 Backman also highlighted Shawn Lee, John Manocchia, and James Suvak as freshman who have impressed him so far. 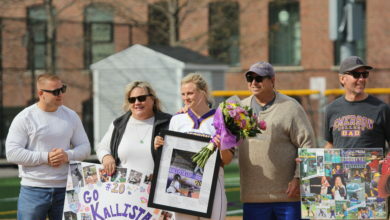 “It’s encouraging to see that, because when I leave and graduate and I come back and watch games, I know that I’m leaving it in good hands,” Backman said. 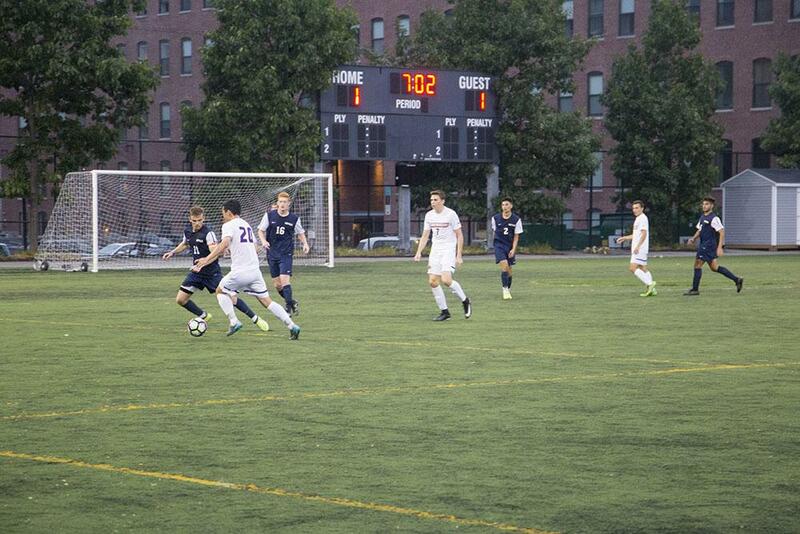 The Lions are currently 2-2-1 after defeating Fisher College 5-0 on Sunday. They got off to a solid start with a 0-0 overtime draw with Curry and a 2-1 win over Emmanuel, but hit a rough patch after a hard-fought 5-2 loss to cross-Common rivals Suffolk and a 6-0 loss Salem State. 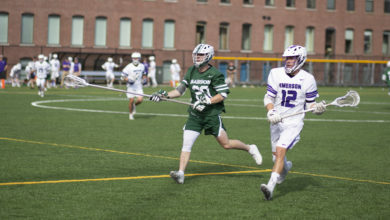 One player to watch this year is sophomore attacker Gavin Faucette, who is currently the Lions’ leading goal scorer with three goals in five games. He is also third in shots on goal in the NEWMAC, registering 10 in his first five games. Harkin’s message to Lions fans is essentially: Don’t count us out. “[We’ve got a] boxer’s chance, [a] fighter’s chance, we’re in there, and as long as we are in the mix, we’re good and we’ll continue to work hard and give ourselves every chance to be successful,” Harkin said.